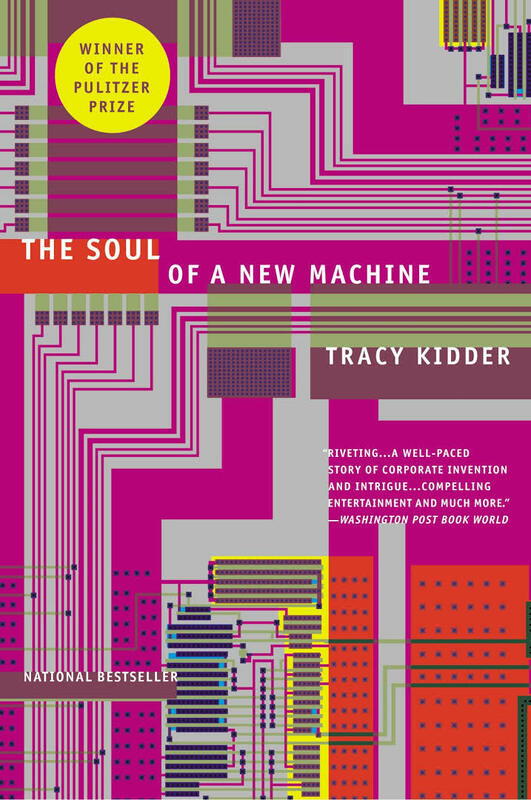 The Soul of a New Machine by Tracy Kidder is one of those books that always seems to pop up when ‘computer-people’ share book recommendations. Exhibit A, exhibit B, exhibit C and so on — you get the picture. Also the “Winner of the Pulitzer Price” notion on the cover seemed promising, and it was about computers, and I like computers! So I had to read it. I had assumed it was fiction, however when I started reading it became pretty clear this is a non-fiction book. The Soul of a New Machine, follows a Digital General Corporation team of two dozen engineers in the late 70s who design a 32 bit computer — aka the Eagle — in an 18 month period under enormous pressure and inspiring leadership with ever moving deadlines and increasing market pressure. It’s an amazing read. These quotes from the authors’ website pretty much cover what’s so great about it. Whether it was sheer luck or whether he had a nose for the industry, but Tracy Kidder was certainly at the right place, at the right time to write this story. The computer industry was still in its infancy and booming! And there were lots of companies doing similar things. But this particular company was at a crossroads and had this 32 bit computer challenge ahead of them. As a writer, those are the ingredients you want. Yes, there are a lot of mind-blowing details in this book. Mind-blowing in the sense that people were able to build such a complex device but also mind-blowing that Kidder was able to write this entire process down in such lively detail. Even then, computers were already incredibly complex. And computers tend to grow more complex over time. 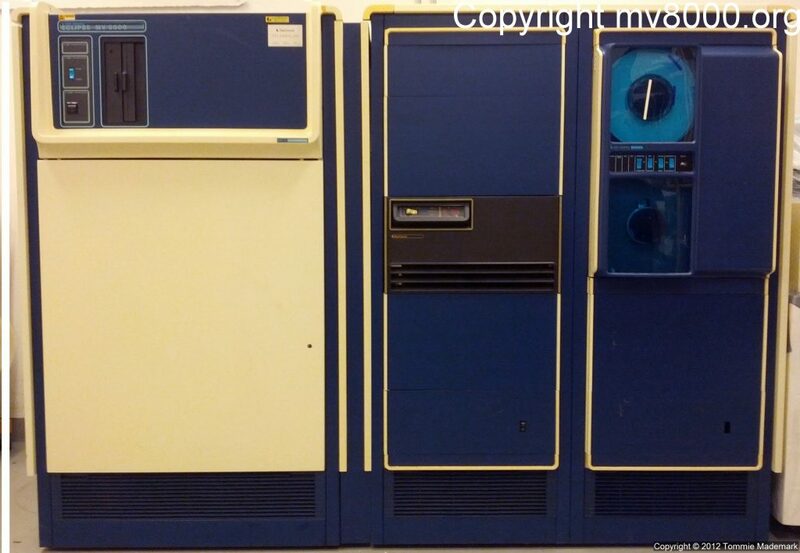 So when you take into account that this book describes enormously complex computer design from the late 70s it’s not that hard to imagine how we ended up, 40 years later, with problems like Meltdown and Spectre. Computers like the Eagle were expensive. Most of the engineers who built it, pretty much couldn’t afford one. I always found this strange. This is probably the same for people who build really expensive cars. When you are building a computer you could really benefit from using a computer. However this was not as straightforward as you might think. See the previous point: computers were expensive and had specific purposes. This part really put things in perspective for me. Some of the engineers who worked on it didn’t even really like computers. Some because they saw a bleak future where computers would take over. And for others, it was just a puzzle to solve. Sure, this is a technical book of how a new computer was designed and built but at the heart this book is about people, relations, teamwork and leadership. The timelessness of this book is embodied not in the technical details but in the stories of how these people worked together and achieved their goals. (For lack of a better term, you could call it a management book.) And that is exactly what I like about it. I will probably forget the technical parts, no matter how interesting, but the colorful people, their backstories, motivation and relentless dedication will stay with you. I kept thinking I would also love to read such a book about people designing the original iPhone. The technical details would probably be different, but here’s the thing: I suspect there also would probably be a lot of similarities between them and this team from the 70s. Because in the end it’s about people trying to create something unique. For me this book is a definitive must-read and I would personally really recommend this book to anyone. However I fully understand that this is not for everybody. It can come across as dry or too technical, but if you have ever engineered anything in or with a team or worked with strict but ever moving deadlines, you will recognize a lot and maybe even pick up a few things to put into perspective.